This dress -- oh, this dress! The vintage print reminds us of the Roaring '20s and all things sparkling chandeliers, gold candelabras, bits of flair, and lots of bright smiles! Smooth fabric doesn't wrinkle, and simple pullover styling is perfect for those days when you just need to "go." One of our favorites! ALL SALES FINAL. Model is wearing size medium in Dainty Jewell's. This dress is gorgeous & figure flattering! Its also very comfortable yet classy. Very comfortable and feminine dress! Thank You! This is my first layered/ruffled type dress that I have ever bought, so I was a little iffy about how it would look on me. But this dress blew me out of the water. It is absolutely beautiful on. Not to mention that the fabric is so soft and it feels great to wear. I am totally in love with this dress! 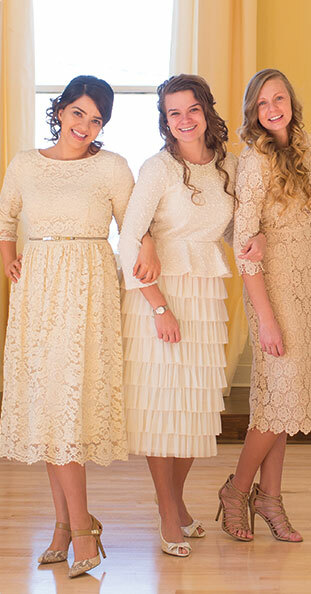 This dress is even prettier than pictured! It fits beautifully and is very flattering even to an "older" lady. I like the print of this dress, but my favorite thing about it is that it's so slimming! Definitely would recommend! Even prettier than the picture!! It's Navy/Gold! As a plus size girl - this is the 3rd Dainty Jewell's dress I've ordered and I've ordered 2 skirts...The ruffles are slimming, the material in this dress is amazing - it's slimming, elegant and fun all at the same time. You won't be disappointed - I just got it yesterday and can't wait to wear it. So comfortable!! !